This beautiful meter gauge train service starts from Pathankot and ends at Joginder Nagar. There are several trains' starts at different times. All trains starts from Pathankot and some of them goes till the last point at Joginder Nagar. The distance of Pathankot to Kangra is 94 km and Kangra to Jogindar Nagar is 70 km. This hill train takes more time than normal plain area time as it travels at very low speed and as it is a single line so train stops to give way to other direction trains. The train passes through valley, rivers and many beautiful places and towards the last stretch of the journey snow capped Dhauladhar hills will be visible. 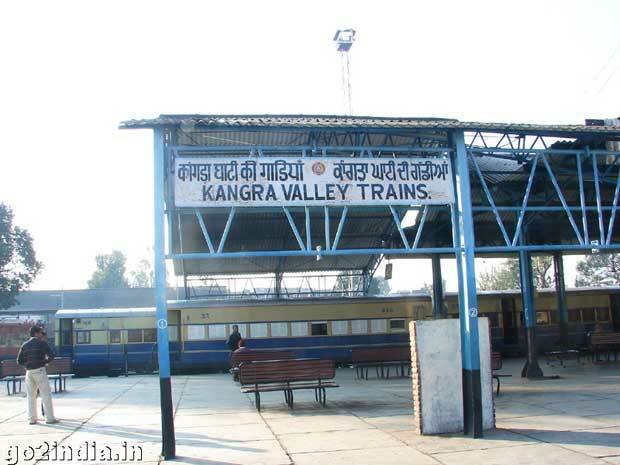 The Kangra Valley train station located little away from the broad gauge station at Pathankot. Tourists need to cover one over bridge to enter into the Kangra Valley train complex. It is very easy to walk up to this complex but little far in comparison with other hill station trains like Kalka � Shimla, Mettupalem � Ooty & NJP � Darjeeling. This train line of 164 KM long was constructed in the year 1926 and started operation in the year 1929. During first one hour of journey from Pathankot the train passes through small town and villages. Then it enters into valleys with big rivers and bridges. Most of the time valley and rivers were at the right side of the train. So try to get a seat at right side window while traveling from Pathankote. During the journey the train was stopping to give way to other direction train as this is a single track line. This was giving an opportunity to passengers to get down and take photo of the beautiful valleys and rivers. As the train moves upward and the journey became more scenic with a distance view of snow capped Dhauladhar hills. Rivers became narrow with deep blue water and the train started taking curves by moving over high bridges and inside tunnels. The first tunnel came after three hours of our journey. There are few tunnels in this track in comparision to other toy train of Himachal running between Kalka and Shimla. This train passes through many small stations which connect to near by popular tourist destinations. To go to Dharamsala one can get down at Kangra Mandir stop or at Kangra town and take a bus to Dharmasala , located at a distance of 20 KM and will take one hour from Kangra by bus. Kangra Valley train tickets are only available in its own stations. From Pathankot station one can get the tickets. Internet booking or advance booking from other part of Indian railway is not available. Fare varies from express to passenger trains. A second class ticket in a passenger train from Pathankot to Kangra is Rs 15 only. This train is one of the best hill trains of India but this line is not so popular among domestic tourist and mostly the locals use this train. 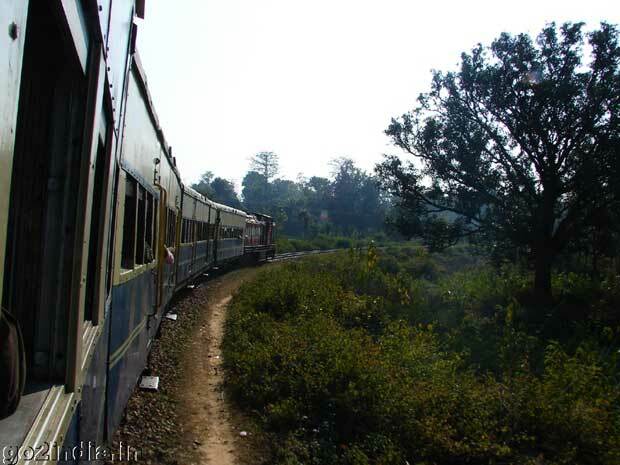 The Kalka � Shimla toy train is the popular one among tourist visiting this beautiful state. I am an engineer doing job in kota . but I am basicaly from Arki (SOLAN). I love my Himachal and I realy mis himachal, and my school as well as college friends. My self Thakkur Rahul Pathania From Ladori Village Nurpur. I love my sweet Himachal So much. Hi! I am Arun Supehia from village Bhadrer ( Nagrota Bagwan ) H.P. I am working as accounts officer in Pvt. Company at Chandigarh. I spent most of time of my life out of Himachal. But I always miss beautifull Kangra velley & my native village Bhadrer. You can see buildings with colonial architecture in Shimla, tibetan architecture and culture in Dharamshala, Rampur and lahaul Spiti. The adventure sports like para gliding, skiing and snow bikes in Manali.Kalka to Shimla in a locomotive train!Helpful and peaceful people ! !Where else you will find this combination ?? I just love Himachal !! HI friends..if you want to visit kangra,baijnath,chamundaji, Gopalpur zoo and other tourist places by train first go to Pathankot railway station and get your ticket. No further booking. so its easy to get a ticket. So come himachal and have fun..[:)] take care..
Hi! I love Himachal & I like Pathankot Joginder nagar train. Govt should spend some funds to upgrade to old trains & systems at railway stations so more tourist would visit. Riaz from Bikaner Rajastnhan here can any body guide me how to visit Joginder Nagar from Pathan kot is it cheap ? I love baijnath.Muge baijnath bda acha legta hai . I am from rajasthan (Mount Abu).But Himachal is unique. It's really a nice place. I am really proud to be an indian. after having worked throughout the year i alongwith my wife decided to tour manali on 22/6/2010 for fun and relaxation.we boarded volvo bus of hptc from delhi and set for manali at 8.35p.m.it was fantastic journey .we enjoyed every bit of it.first it was stopped at karnal around11.25 p.m. and we took coffee and some light dinner.around 5.15a.m. it was stopped at bilaspur for refuelling.at 6.30 a.m. we stopped at some village near canteen we again freshed up and had tea etc.after this the entire journey was a great experience newer to be wiped out from mind.and we reached manali at 11.30 a.m. next day ,a 14 hour refreshing journey.strongly recoomended for couples. Hi, Vishnu chopra, On 21st june1997 I planned a trip for my family for shimla. We boarded Himalaya queen train and reached Kalka at 12.30a.m. From Kalka we boarded toy train. This train route was made by English men with the help of Indian engineers and it attracted travelers from all our India and abroad. Natural scenes and tunnels which are 100plus in nos. have different charm. One can see himachal Pradesh culture very closely here. At 6.30p.m. We reached shimla and checked in hotel Dalzell which is at the corner of mall road. During our 4 days stay we saw Institute of advance studies, zakhu temple and lot of walking in and around simla covering villages etc., this tour freshen up my family and give me break from my hectic schedule. Must visit place for family. I want visit to himachal Kangra but I want to stay in any guest house of Jain / Sikha or Hindu temple, were I could find it in Kangra & Joginder nagar, Plz. tele me on my mail ID. Thanks. 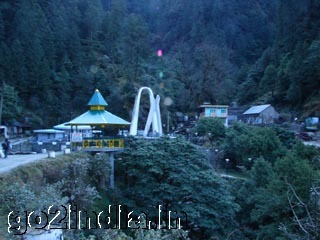 Himachal having lot's of tourisam potential. Unfortunately because of lack of basic infrastructure it's not getting popularity among tourist. i have been to shimla many times and also went there on 25.6.1995.it was very beautiful place and attract you for its' majestic beuty.this time we also took our children first time.we stayed at hotel for two days and after this we moved to our uncle's bunglow at anna dale.it is near military area with helipad and surrounded by thick forest.There was kala pahar a unique place about half K.M. wasy from the bunglow.Every year Simla calls us and we made it to be there but for last ten years we did not go.next time we will make it to shimla. HI ME RAMAN HU MERE PEHLA OR AKHRE PYAR EK THA JO MUJE YAHI HIMACHAL ME MELA OR HIMACHAL ME HI CHOOTA . Hi i m rajeev from joginder nagar (himachal pradesh). himachal is a very nice place. i love himachal. i working in gurgaon. i miss my himachal. Hi I am Swaraj 4M Kolkata (at present). My Schooling started 4M Shimla. After joining Indian Air Force my 2nd posting was at Pathankot and as an young Air Warrior- I used to visit D"housie/Jwalamukhi etc. 4 week end Picnic,That"s how I fall in love with H.P.and due my Service/s(Air Force/Air India Intt. )comitments,could not visit himachal but the love was not lost,and after my superannusation few months back visited - DHARAMSHALA/MCLEODGUNGE/JWALAMUKHI/CHAMBA/KANGRA and PALAMPUR etc.along with my wife.It was as if I got my childhood/my late Teens/Twenties back. Thank You- Beautiful Himachal Prades and your Beautiful people.Me nd my Wife will again visit H.P.Dis time Kullu/Manali during comming DIWALI. How much time does the toy train take to reach kangra from pathankot as compared to the bus? Is it worth? 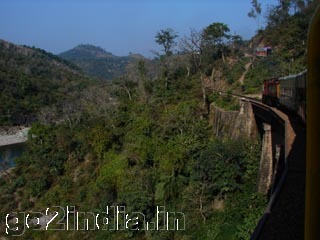 I would like to travel by kangra valley toy train from pathankot to Chamba. Reaching Pathankot in morning hours by train. Please suggest train timings and total time by toy train up to Chamba. I am traveling to Jammu tawi to manali in last week of nov'11. Kindly suggest me route to follow, in between I would like to stop in Dharmshala. The route should inculde Toy Train. 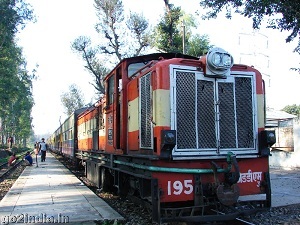 Kangra Toy train is not running from almost last two months and I was told it will not run atleast in 2011. Portion of rail bridge near to Pathankot has been collapsed on to the river. Really missed the joy of Toy train!!! hello i am ashwani kumar. himachal is very beautiful place. there are many favorite place. brijeshwari,chamunda temples. there people are very honest and hardworking. so i love himachal pradesh. 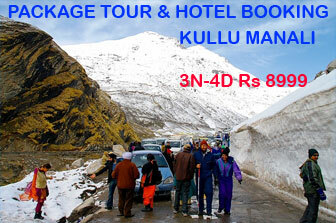 (1)how we can reach joginder nagar from manali. (2) Trains from joginder nagar to Pathankot are operational or not. I visited Manali with family last month. I enjoyed the trip because of pleasent weather, beauty of snow covered mountain, various sports like paragilding, river crossing. I would love to go back to Manali once again. I would like to explore the rail route from Pathankote to Jogindernagar, as I did not travel on this route. i love my KANGRA valley......coz its very b'ful n peaceful place..
it was a wonderfull experiance.i love it very much.it is heaven for me. *READ PLZ M FROM VILL. TALARA RAILWAY STATION TEH. Nurpur distt. Kangra h.p,m web designer,hacker or engg. M juss 18 year old M COMPLETED MY DIPLOMA IN MECH. ENGG. Nd find JOB SO PRAY FOR MEE . . . M LOVE MY KANGRA VALLEY LOVELY TOY TRAIN WOOOO. . I have own site, facebook,twitter,bloges,fb pages,groups and much more guys visit ARVIND1110.wapka.mobi/ my best site i hv many site bt this site amazing 2 cntct wd me on facebook or other so dont forget 2 visit my site ohk buddy. plese fullfill my request . This rout must be convert into BG otherwise Train journey is time waste and GOVT.do not know the value of time of public.80km Means 8Hrs.Waste. HP Govt.Can Spent Thousand Of Crores For Puchase Buse every year But cant For Rail Devlopment.it Must be for tourism. My sweet home Vill KRONTHI PO SAKOH Teh Jaisinghpur Distt KANGRA I love Himachal. my beautiful village TAKOLI GHIRTHAN teh. Ftehpur Distt. 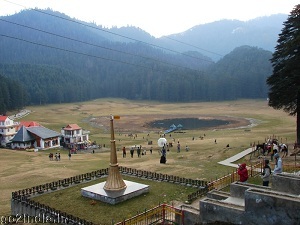 kangra. its more beautiful in word. i love Himachal Pradesh. I'm from Kolkata. I first visited Himachal in August last year. It was rainy season but rains in the hills have special attraction. I stayed near Dharamsala for 10 days and liked the place immensely. I again went in December -January, very cold with the state recording highest snowfall in past quarter of a century. But myself and my wife enjoyed it, particularly when the sun was bright. We visited several temples during two visits such as Jwalamukhi, Chamunda, Ma Brajeswari, Chintpurni and Bagalamukhi. So nice. We also went to McLeodganj and Naddi. Simply wonderful. 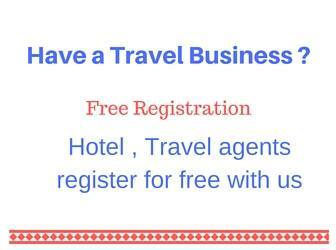 The local people are nice, courteous, helpful and hospitable, We are in love with Himachal and will go there again at the earliest opportunity.